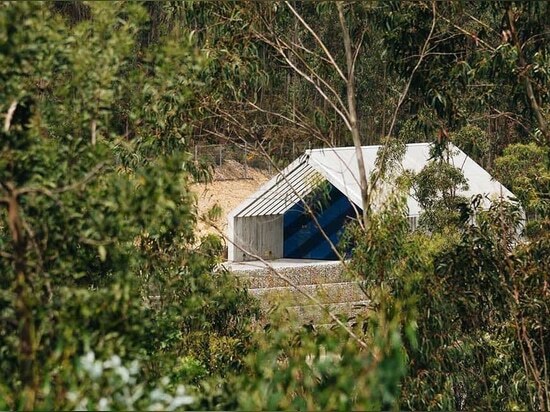 the scope of pedro gerales’ ‘POC ermida’ is part of the conception of an industrial facility for a global energy company EDP, to act as a base for the observation and control of a dam in case of emergency. 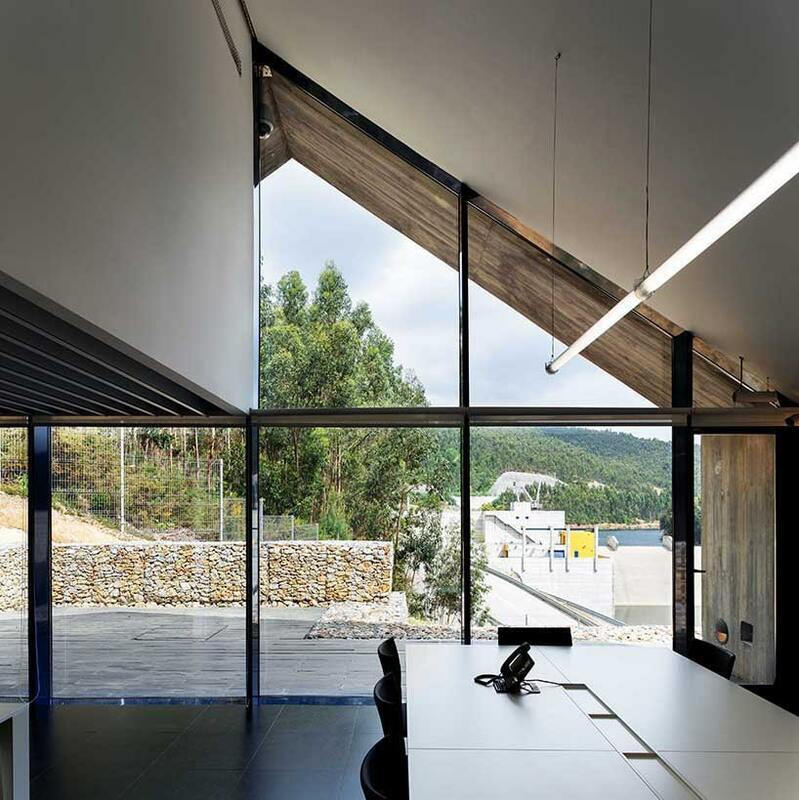 the scope of pedro gerales’ ‘POC ermida’ is part of the conception of an industrial facility for a global energy company EDP, to act as a base for the observation and control of a dam in case of emergency. 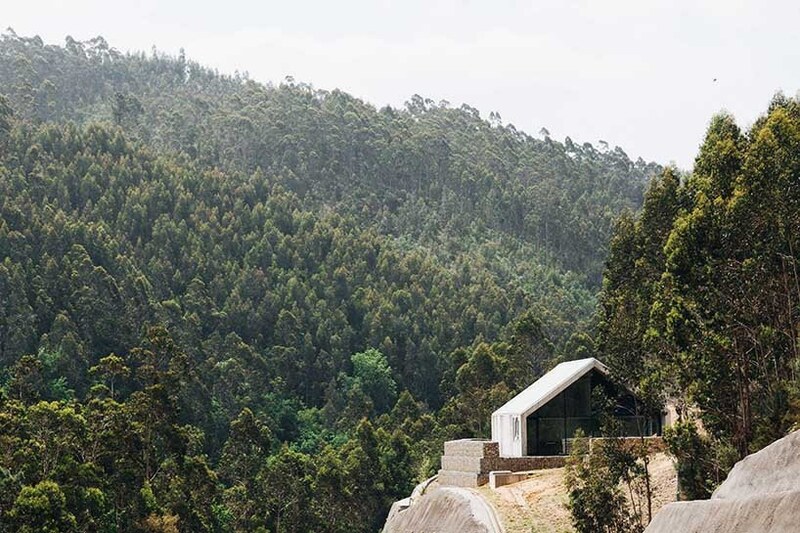 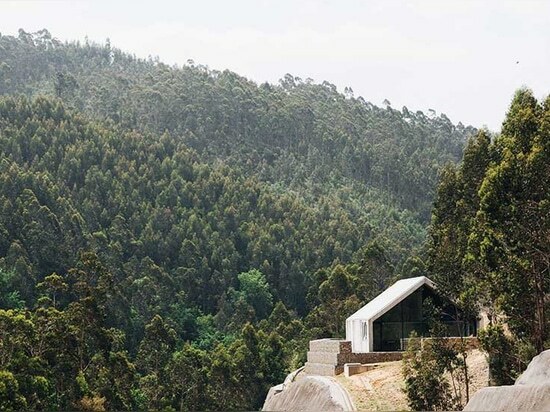 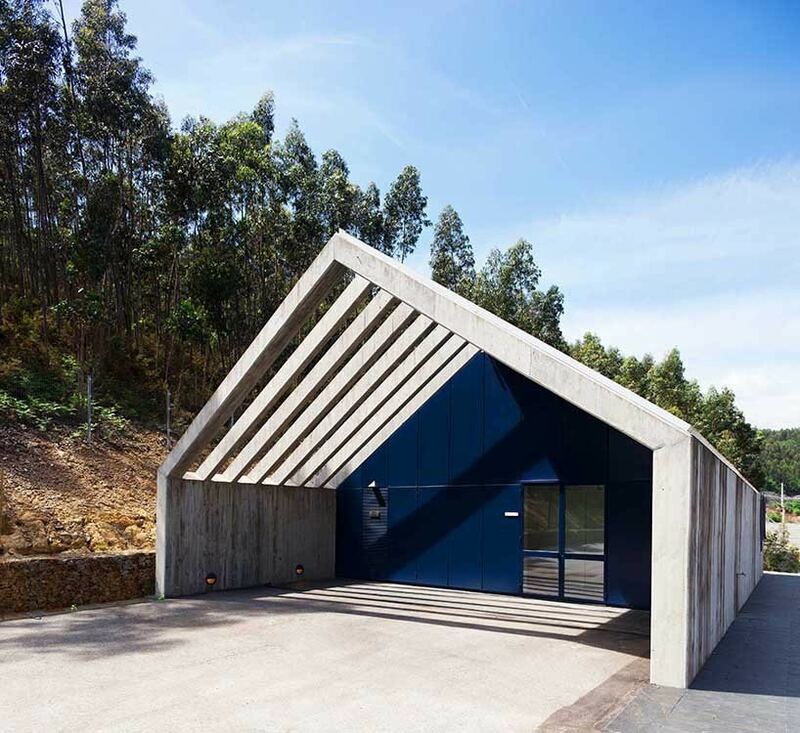 located in ermida, portugal’s midlands, an area defined by a beautiful course of water and surrounded by a large forest, this contemporary industrial building aims to reinterpret traditional constructions, honor the location’s name and respect the materiality of the architectural history at the company. 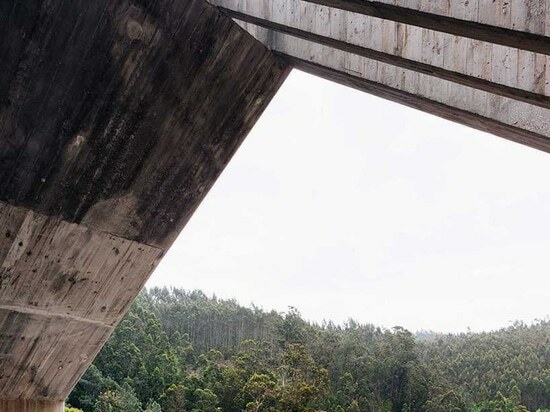 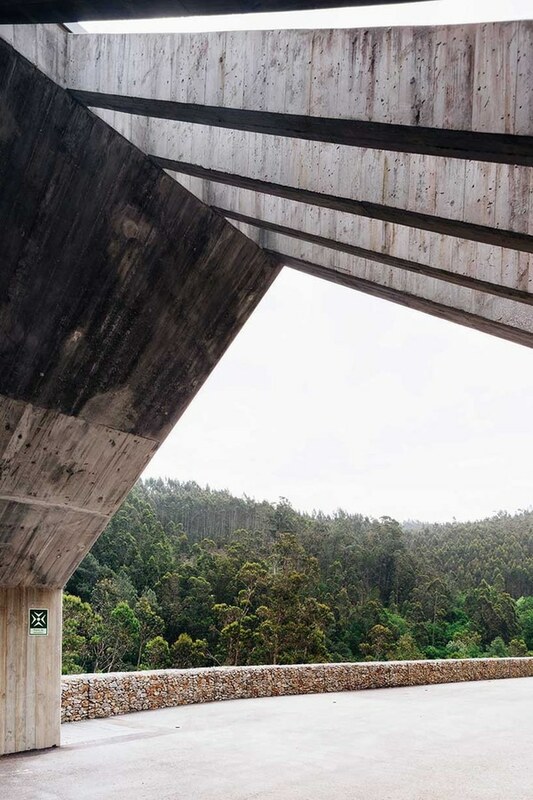 the building needed to stay in an elevated location, protected from floods and allowing a perfect view from its interior to the dam — this made the interventions n the landscape necessary, resulting in an elevated level platform and vehicle access leading to the entrance of the building. 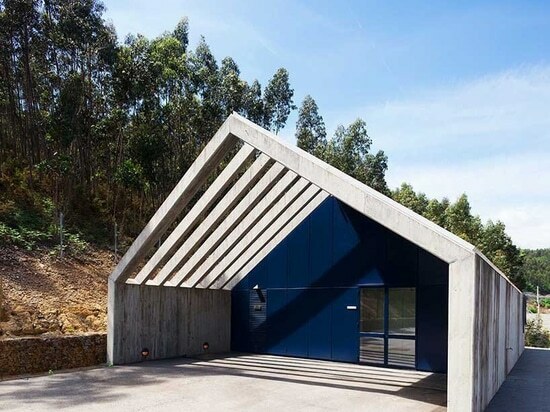 the concrete appears as a continuous shell – skin and skeleton – that serves as walls and roof, as well as finishing and waterproofing material. 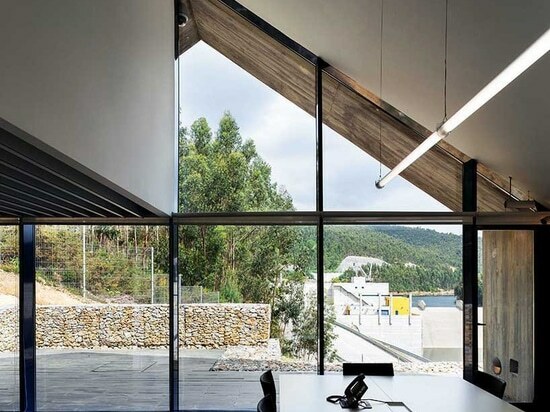 in between, covering both the front and rear facades, other materials such as aluminum and glass emerge — the entrance is totally opaque in aluminum, with the exception of two glazed doors, while the rear facade entirely made of glass oversees the da, except for the area where ventilation was required.